There's less than 4 weeks to go until we head to the ExCeL London to exhibit at this year’s B2B Marketing Expo. So here’s a heads up about what we’ll be talking about at the show, what you can expect over the two jam-packed days, filled with the latest digital marketing and sales insights and how you can get your hands on a FREE ticket. 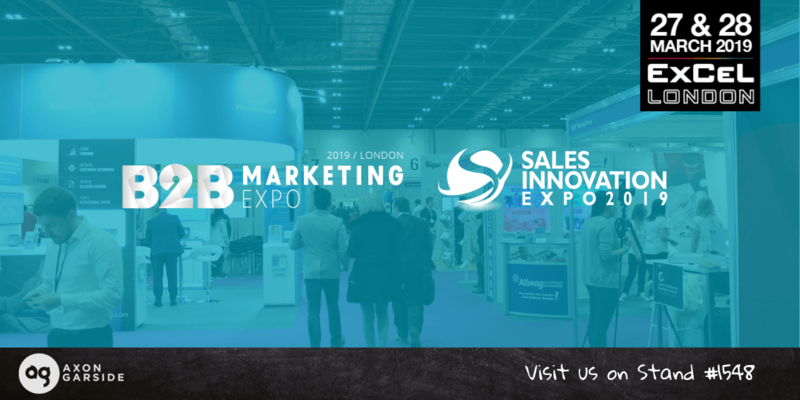 The B2B Marketing Expo, vouched as one of the Top 10 Marketing Conferences to Happen in 2019 will be hosted at London ExCel on Wednesday 27th and Thursday 28th March. It’s the ‘ultimate showcase of exceptional marketing minds’ and will be running alongside four other industry-leading shows, such as: the Sales Innovation Expo, Marketing Technology Expo, Customer & User Experience Expo and the Call & Contact Centre Expo. 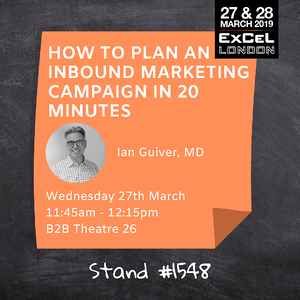 We’re going to be setting up base on stand 1548, and we’d love to invite you to come and see us so that you can hear more about what we do and how you can grow your business using HubSpot in person! As a Platinum HubSpot Partner, we're not only big advocates of the tool but know it inside out and can advise on how best to use it, whether your focus is on marketing, sales or customer service. This is a great chance for us to meet properly, so that we can give you a real idea of what we can do for your business - be sure to grab your free ticket so that we can arrange a meeting at the stand. ABM has been a bit of a buzzword as of late. But what does it actually mean and how can you get started? 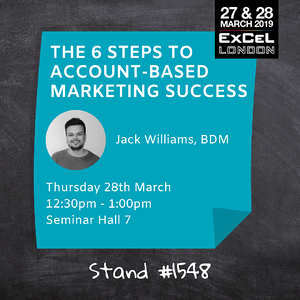 Join Jack as he shares his top tips on tracking down prospects and actively using targeted content to sell more effectively through LinkedIn and other social networks. The showguide will also give you details on this year’s outstanding lineup of 500 speakers, interactive masterclasses, another 1000 exhibitors and full show highlights. So grab your free ticket now, and we look forward to seeing you at stand 1548!